This very quirky café located on Newhall Street was introduced to me by my friend. 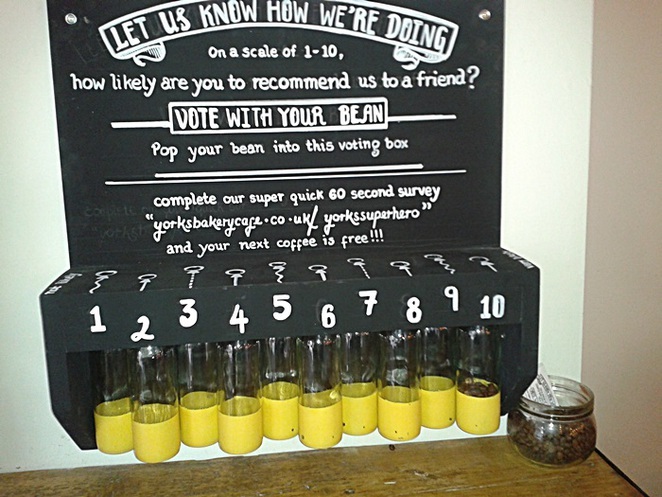 As with most interesting indie cafés, Yorks Bakery has very attractive décor. The use of the space is quite clever for the size of the place. It's definitely one of those nice new options in the city centre to have a brunch with friends. Upon entering, you will feel quite tempted to try anything from the menu. Their display, with such lovely cakes, is just mouth-watering. It's filled with a range of sandwiches and breakfast options; it's impossible not to notice or resist! 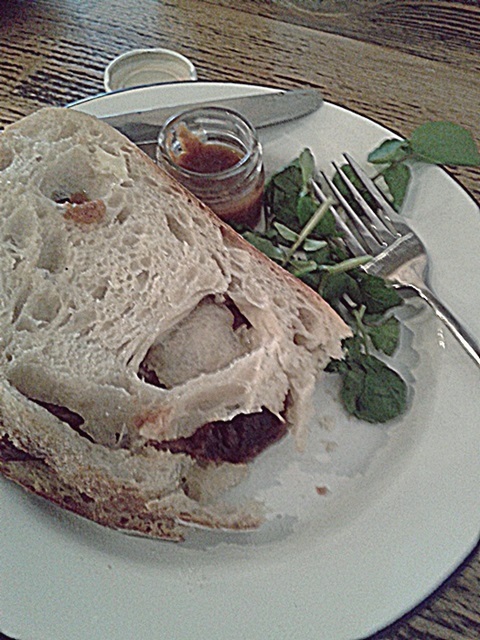 I enjoyed a Saxon Sausage Sandwich and it was a pleasant surprise, wrapped in gorgeous sourdough bread. The homemade spicy ketchup is a must! I need the recipe but I quite like the idea of knowing exactly where to go if I would like to try it again! A nice espresso coffee, cappuccino, latte or a traditional tea with a bit of poetry, music and arts are also part of the combo that make it a good idea to pop to Yorks every now and then.